Samsung has just unveiled the newest member of its proprietary Exynos SOC, the Exynos 8 Octa 8890 built on its 14nm FinFET process technology. 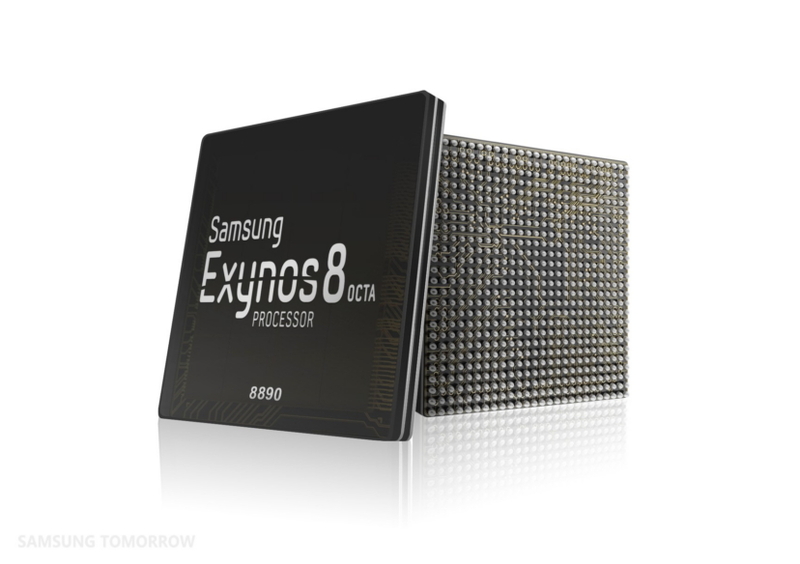 The Exynos 8 marks Samsung first foray into designing custom ARM CPU cores. The Exynos 8 configuration includes an array of 4 Samsung designed cores in addition to 4 small ARM Cortex A-53. The Samsung custom cores are based on a 64bit ARMv8 architecture and the latest LTE Rel.12 Cat.12. The custom cores used by Samsung allows increase a 30% increase in performance and 10% power efficiency over the Exynos 7 used in the Galaxy S6 and Galaxy Note 5. The Exynos 8 is also Samsung's first integrated chip combining the processor and a state of the art LTE modem which allows for download speeds of 600Mbps and uploads speed on 150Mbps on Cat.12 and Cat.13. The Exynos 8 also features the latest ARM GPU, the Mali-T880 MP12 which is capable of powering graphics intensive applications such as pictures, videos, 3D immersion games, life-like VR experiences and UIs above 4K. The Exynos 8 will enter mass production later this year and will likely be used in next year's Samsung Galaxy S7.